SAXON is one of the legends of the NWoBHM movement who still go strong on full steam even 44 years after their initial formation. They also deliver good to freaking awesome records since 1979 and have been connected with the WACKEN OPEN AIR since their first appearance as headlining act 1992. So it is obvious that a part of this live CD and DVD package from 2012 got recorded at the W:O:A® festival. 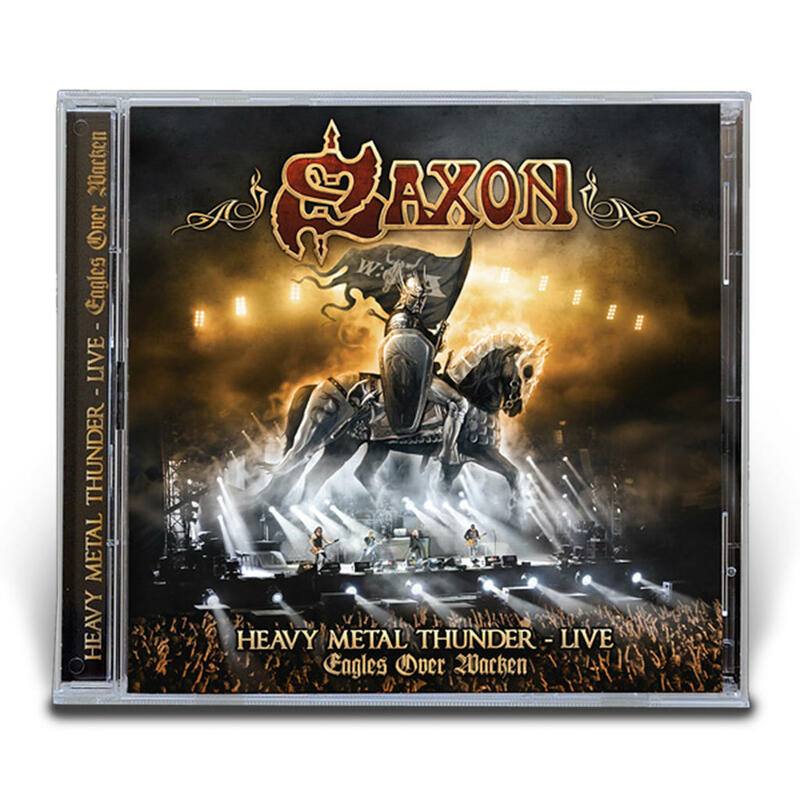 The DVD presents mixed clips from their WACKEN shows in 2004, 2007 and 2009 which cold make you wonder at first until you realize this way you receive the ultimate SAXON setlist you can only experience on this DVD. The double CD features a complete concert from Glasgow in the year 2011. This is an ultimate metal fest for all heavy rockers for sure. Both formats come with an awesome sound, the DVD also in the best possible visual quality in PAL format without age limitation for all players compatible for region code 2. All three discs together appear in a nice digipak. Let the eagle land.